Communications for only $15.95, regularly $17.95. Sale ends January 8, 2009.
the time to lock in a low fixed rate! Crisp video quality and short wait times. Dial HamiltonVRS.tv on your videophone for your calls today! making your VRS calls easy. AT&T Relay – your world delivered! Now has a 10-digit personal phone number for you – free! and fill out the “Create An Account” screen and click submit! in for the past 175 years. (1876) but did not mention the NTID! enhanced Rochester as a great American city! force, is pushing a demand onto the Obama Administration. the Colorado Teacher of the Year. one deaf juror, who did not know ASL. was used in the conviction. Michigan, has a new executive director – in Katie Prins. WCI is kicking off the New Year with a big “sale”-abration! During the entire month of January every TTY is on sale! Choose from several different models and take 9% off. got a TTY that is right for you. and all our other products. will be, our CEO’s have different backgrounds. CEO’s are business people that know corporate management. Some CEO’s are fund raisers. schools their preferences are different. 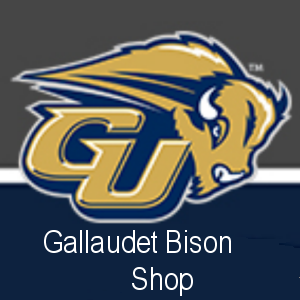 Gallaudet president will be “perfect” for us. 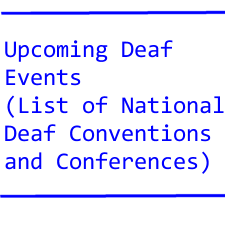 see many books about the deaf and of deafness. city of Yorkshire, be sure to stop at the Elland Brewery. you will get a liter. nations sign language more or less is primitive. with less advanced sign language. A clueless person would not know the difference. On what criteria were these words selected as MIW’s? hired just for one specific task. take the deaf into consideration. to the Fremont City Recreational Council. appointed to the Mayor’s Disabilities Council. select a deaf person to be a member of his cabinet in the 2010’s. As a sidebar, all three individuals were Californians! that work for a property management company. also uses text pagers and instant messaging pagers. so many different people and so many different incidents. the state of Karmataka in India. He died in 1714. Deaf Cruise Hawaii 2009 Special !!! Deaf Cruise Hawaii 2009 ! and still get all the benefits of Freestyle Cruising. awesome holiday gift for that special someone). as five to register at huge savings! Should be pretty much self explanatory. Q. Do we have deaf attorneys operating own private practices? same – meaning a glut in deafmaterial! Deaflympics is coming up this year at Taipei. earn $0.00 for their efforts. will reap a fortune of NT$1 million or US$30,432. have by then had four or five upgrades. the Deaf/Hard of Hearing community throughout the Midwest. Join us and be a part of the largest outreach effort in our history! We are interviewing and hiring immediately. mission-driven care, and nurturing colleagues behind you? strong values, and the highest professional standards. analytical, organizational and problem-solving skills. Proficiency in American Sign Language is required. setting preferred. Full time positions; all shifts available. compliance with legislation, state and agency policies.